Ready to delve into the glorious world of butter? These books provide a wealth of information. Plus, by purchasing these books through Amazon, youâ€™ll help support WebExhibits! By combining gastronomy with science, linguistics, history, and poetry, Harold McGee takes the reader on a journey of the foods we prepare and consume. Whether youâ€™re interested in the molecular structure of butter or why dry-cured ham has fruity notes, youâ€™ll find a wealth of information thatâ€™s equally appealing to the home cook and the scientist. 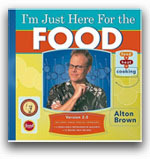 If youâ€™re a fan of â€œGood Eatsâ€� or â€œIron Chef America,â€� youâ€™re bound to be familiar with Alton Brownâ€™s endearing geekiness about all things food-related. His breadth and depth of knowledge infuse this book, which covers 15 different cooking methods and the science behind each. 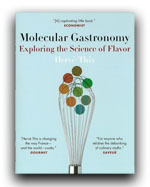 Sprinkled with food science, history, and lore, Brownâ€™s book explains not only the â€œhow,â€� but also the â€œwhyâ€� behind each technique. 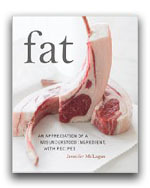 Jennifer Mclagan asserts that, contrary to popular belief, fat is not a four-letter word. She explores the role that butter - along with pork, chicken, beef, and lamb fat - plays in our enjoyment of food, and brings a combination of science, cultural anthropology, and culinary creativity to the endeavor. Developed from a variety of cuisines, her recipes use butter and fat not as a form of decadent indulgence, but as a means to an end - judiciously infusing flavor into foods. To get a taste of Jennifer's insights into butter and other dietary fats, please visit pages she contributed to this exhibit on: comparing butter with other fats, debate and controversies, and nutrition. 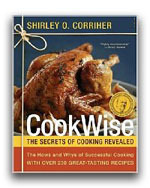 If you love to cook but want to kick the quality of your dishes up a notch, Corriherâ€™s book delivers. As both a biochemist and culinary consultant, she clearly explains the scientific principles behind kitchen secrets. Each of the recipes in the book serves to demonstrate a concept, making it a must-have reference for those who need to figure out why their bread doesnâ€™t rise or who need other troubleshooting tips. We wouldnâ€™t have butter if we didnâ€™t have milk. In his book, Ron Schmid sets aside conventional wisdom about the dangers of raw milk and delves into the politics of the dairy industry, the financial incentives associated with mandatory pasteurization, and the myths surrounding the supposed health hazards of animal fats. 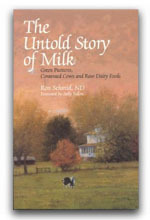 A strong advocate of the health benefits of raw milk, Schmid takes a scholarly approach to the subject matter and makes a powerful case in the process. What if butter is just the starting point in creating a gastronomical delight? Thatâ€™s the approach Maoz takes in his journey through the world of flavored butters. Need the perfect accompaniment to a savory dish? Try pesto butter or artichoke butter. Looking to add a bit of spice to a meal? Curry butter or roasted jalapeno butter may be just what you need. Feel the need for sweetness? Recipes for the perfect coffee buttercream and maple butter await. With over 65 delectable recipes for flavored butters, you can infuse your dishes with layers of buttery goodness. The first person to hold a degree in molecular gastronomy, Herve This pulls back the curtain on culinary myths and convinces the reader that cooking is first a science, and then an art. 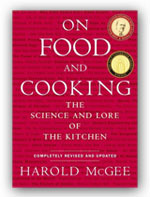 Each chapter delves into the transformation of ingredients used in cooking, as well as cooking techniques themselves. From the development of emulsions to whether it is better to use butter or oil to prevent pasta from sticking, Thisâ€™ book is perfect for serious foodies who have an interest in science. 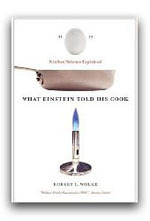 If youâ€™ve ever be struck by the paradox that water boils and freezers burn â€“ or that some recipes call for both unsalted butter and salt â€“ youâ€™ll be delighted and informed by Robert Wolkeâ€™s accessible and humorous approach to the mysteries of the kitchen. He imparts serious knowledge of food chemistry with a light hand. The result? An engaging and informative read for anyone interested in food. 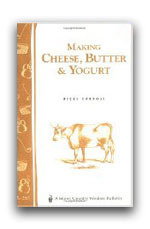 At 32 pages, this booklet might seem lightweight â€“ but itâ€™s heavy on all of the information you need to know in order to make cheese, butter, and yogurt. Whether youâ€™re a beginner or a true aficionado, Carrollâ€™s book will provide everything you need to succeed. 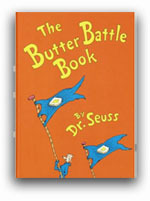 Forget the metaphors for the Cold War that infused many of Theodor Seuss Geiselâ€™s childrenâ€™s books, and enjoy the melodious rhymes and whimsical story of The Butter Battle Book. The Zooksâ€™ and the Yooksâ€™ differences can be best summed up thusly: "It's high time that you knew of the terribly horrible thing that Zooks do. In every Zook house and every Zook town every Zook eats his bread with the butter side down!" Unthinkable!